Invite your friends and family to celebrate the Pocono Arts throughout downtown Stroudsburg. A variety of special performances, fine arts, and craft exhibits will be displayed. Downtown parking will be free during the event. 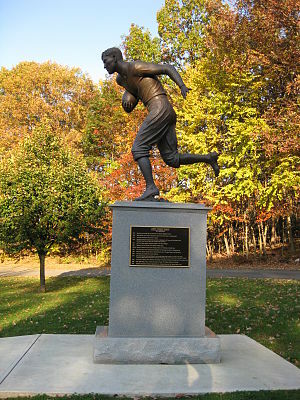 The 18th Annual Jim Thorpe Birthday Celebration will be held at Josiah White Park in Jim Thorpe. The celebration starts with a Native American tribute at the Jim Thorpe Mausoleum, followed by the carrying of the lighted torch by the Olympian Cross Country and Track teams to the Jim Thorpe High School Stadium. The weekend includes free musical performances, Native American folklore, dancing and drumming, craft and food vendors, a clown for the children, a large Chinese Auction, and a headline show at the Opera House. Quiet Valley comes alive with new baby farm animals. Come and join the celebration of new life. This is a unique opportunity for children (and grown-ups) to see and touch a variety of baby farm animals. There are activities for all ages and plenty of good country food will be for sale, so come and bring the whole family - rain or shine. Free parking. No pets allowed. This event will also take place on May 25-26, 2013. The sights and sounds of the Emerald Isles and Scottish Highlands are coming to the Poconos on Memorial Day weekend. Enjoy non-stop Celtic music on three stages, a bagpipers’ parade and Celtic jam, working sheep dogs, Irish step dancers, and a variety of Celtic craft and food vendors! Free parking. Click here to go to 800poconos.com to find other great family fun events happening in the Poconos this year. National Geographic Puts Poconos "On the Map"